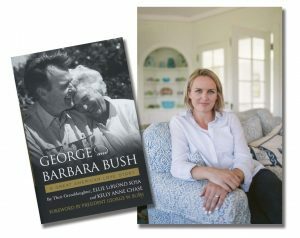 “To begin with I was in love and I am in love, so that’s not hard,” Barbara Bush told her granddaughter Ellie LeBlond Sosa on her porch in Kennebunkport, Maine. 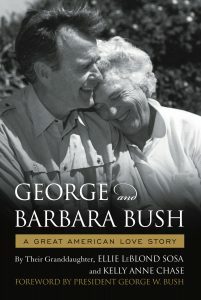 Ellie had asked for the secret to Barbara and President George H. W. Bush’s seventy-seven-year love affair that withstood World War II separation, a leap of faith into the oil fields of West Texas, the painful loss of a child, a political climb to the highest office, and, after the White House, the transition back to “normal” life. We are honored to present Ellie LeBlond Sosa, who will speak about her book and about her legendary grandparents.